Lord of Life in Brighton, Michigan, has activities for young and old. Join us for Bible studies and great family events. Our Annual Christmas Program/Silent Auction/Potluck Dinner was held on Sunday, December 2, 2018. This year's Program featured a presentation by the Lord of Life Sunday School Children: a musical performance by the choral group, Center Stage, from Milford High School; and a visit from Santa! Items for auction, or raffle, were provided by Lord of Life Members, as well as a number of local Merchants. This is always a great evening for young and old, serving to kick off a Blessed Christmas Season. We thank our Donors in the Brighton Area Business Community! We are off to another great year of LOLYO (Lord of Life Youth Organization). Please consider helping us. As we move into our fourth active year, we are always looking for people who might enjoy running an activity, event, game, or meeting with the awesome teens that make up LOLYO. Foster relationships and help build a multi-generation faith web for the youth. It is important to us that we, as youth leaders, are consistent mentors and role models. We also would like them to build their circle of support by getting to know other adults within the congregation. A trip to Louisville, KY, will take place July 14-19, 2019. 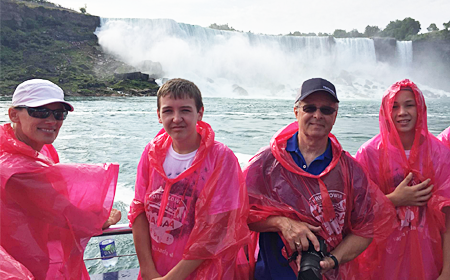 Approximately 20 adults and youth will participate in the trip organized by YouthWorks, with whom we have taken trips in the past. The trip will be one of spiritual growth while serving others. Confirmation is a place to explore who you are as a child of God. "Here-we-Stand," is a two-year curriculum that helps effectively prepare our students for Lutheran Confirmation. The curriculum is from Augsburg Fortress, an ELCA Lutheran publisher. Each week, students experience a connection between the class content and their Affirmation of Baptism. Students also better understand how their faith connects to real life, while the expanded small group material encourages relationship building between the learners and mentors. Solid biblical and theological content also helps connect students with the Lutheran heritage. Video clips, music, and other multimedia resources make the material more approachable for today's young learners. 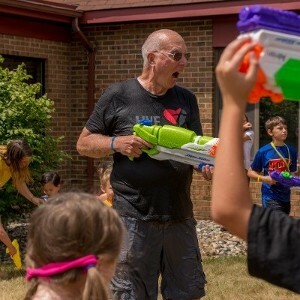 Lord of Life VBS gathers children, youth helpers, and adults, for a week of Bible stories, crafts, snacks, outdoor soccer, and the grand finale picnic. We collect an offering each day that is donated to people in need. In 2018, over $500 was raised toward our goal of packaging 10,000 meals in the fall of 2018, partnering with the Kids Against Hunger program. 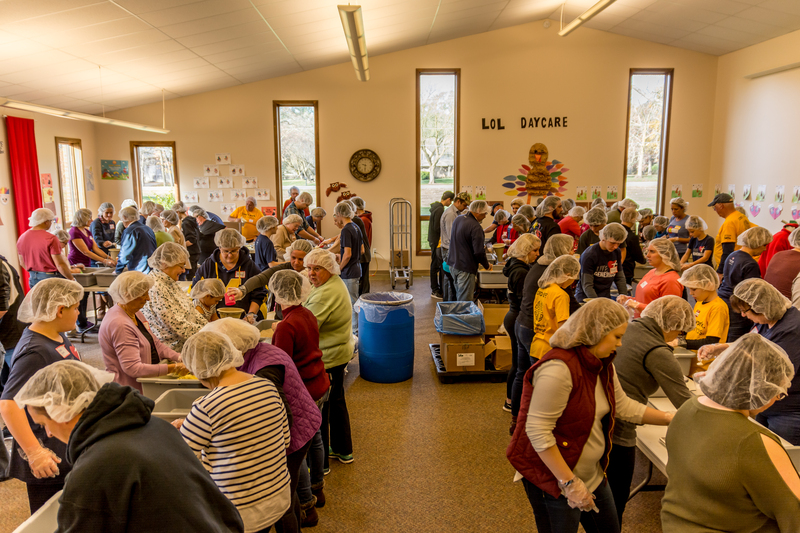 The food packing event will be held November 2018 at Lord of Life. If you are interested in helping with this event in the future, email or call the church. 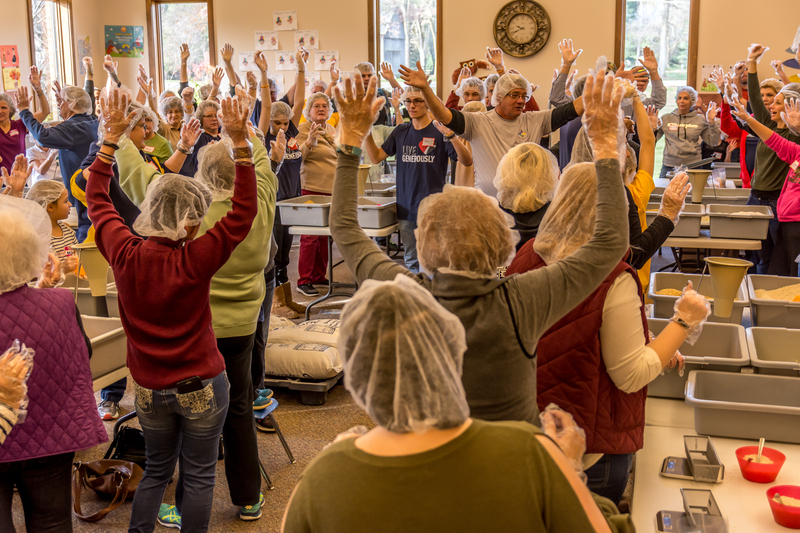 A "Kids Against Hunger" Food Packaging Event, was held Saturday, November 10, 2018, at the church; 100 adults and children packaged 18,000 meals in an hour and one-half. The food will go all over the US and the world to feed hungry people!